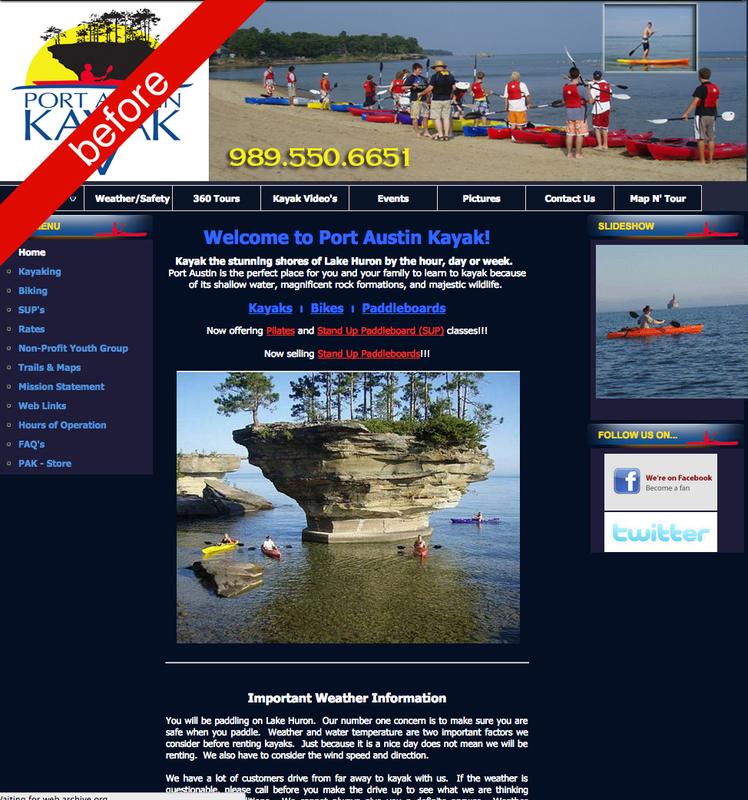 Port Austin Kayak came to us looking for a site that was easy for them to update regularly and had the capability to accept online reservations. They were ready to transition from their dated website and host to something modern. 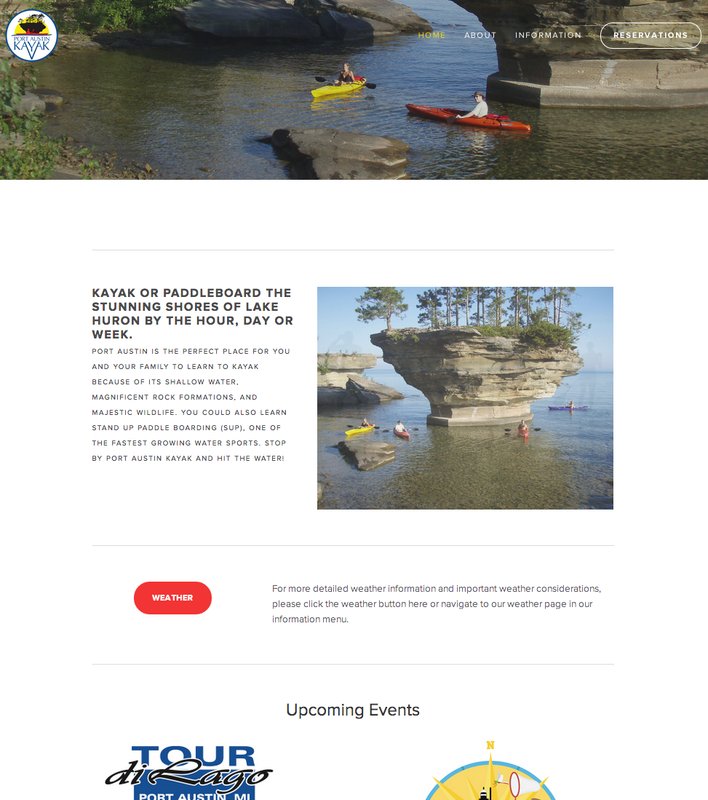 Business Soil transitioned Port Austin Kayak to a new website and trained their staff how to manage and update the content. Business Soil also introduced a staff management system for clocking in and clocking out as well as an innovative POS solution at a fraction of the cost of standard solutions. Business soil consulted Port Austin Kayak on many areas of in store marketing and information systems. Port Austin Kayak expanded to the Frankenmuth community, opening Frankenmuth Outfitters. 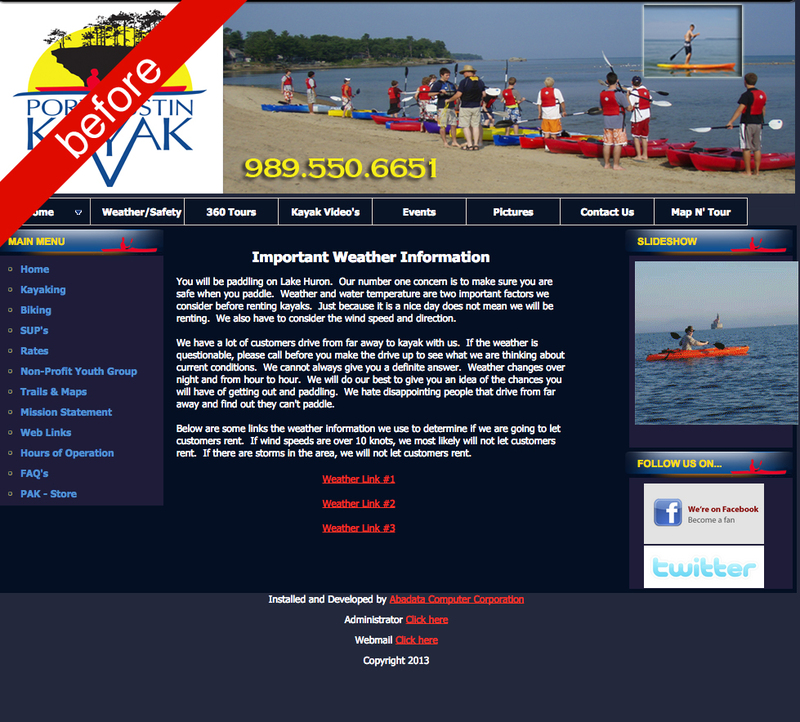 This location wasn't quite ready for people to reserve their kayaks online, but they did need a website that was easily updated by the seasonal staff. This website was designed to keep some of that cohesive branding but represent the unique experience gained with the Frankenmuth location.